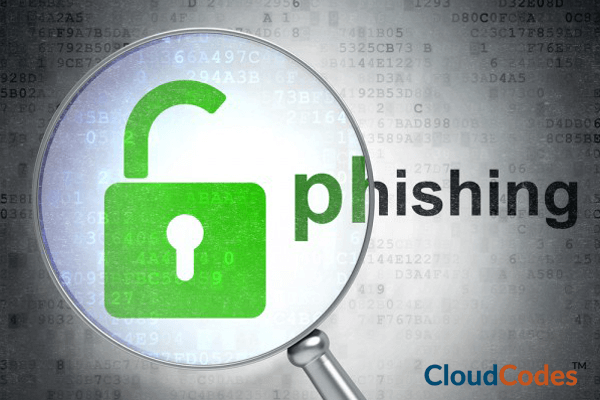 Let’s Find Out That Why Preventing Phishing Attacks Are Still So Important? The more the Cyber threat landscape changes and diversifies, the more it holds the same. Still, in today’s date, there are some old tactics in the playbook of hackers that remain successful and most prevalent. In the year 2018, the wide majority of data leakage incidents were attempted by Cybercriminals external on the aimed enterprise. Unfortunately, major of these attacks were successfully attempted usually by activities performed by an internal business employee. Whether it be an unintentional mistake, a sudden accident, or clearly being mousetrapped by an attractive kind of proposal, human beings continue to fall as a victim of phishing attacks. Through this post, we want to aware readers why hackers are still getting successful outcomes whenever they attempt phishing attack over the targeted company. After this, one is going to read measures of preventing phishing attacks, which are not just to read but to implement as well! Are Human Beings Major Cause for Phishing Attacks? With growth in the awareness about information security, business officials continue – albeit unknowingly – helping internet criminals to enter into the targeted systems. It is hard to accept but, it is a bitter truth that ‘humans are still the weakest link for each and every enterprise’s security architecture.’ As per the report given by Verizon data breach investigations 2018, the popular cause for the entire data breach incidents was ‘accessing of stolen account credentials.’ Stolen passwords or compromised accounts data were blamed for 81% of attacking-associated data exposures in another latest company-wise Cybercrime survey. Another shocking fact in the same report was that these used credentials were collected via phishing attacks, or in situations where end users downloaded different malware on their PC, unintentionally when they visited a fraudulent websites. Don’t be disappointed, we have a solution to this problem! for preventing phishing attacks due to human errors, industries have to take the responsibility of training their employees and increase awareness regarding Cybersecurity. Although it is impossible to eliminate internet threats, it can be at least reduced up to a major extent. In today’s date, the reality is that a business employee from unknown geolocation makes a mistake on public network when he or she uses enterprise’s resources online. This mistake is one point for which hackers look for attempting their intended threats. Earlier, phishing messages via email system were easy to spot – they comprise misspelling, dangerous URLs, false alerts, or odd graphics. They were developed in a predominant manner to target the officials who have distracted, harried, irresponsible, or careless kind of nature. These kinds of persons don’t give a single thought before opening malicious emails and just access them without considering further consequences. Is There Any Change in Today’s Phishing Attacks? Nothing has been changed in the phishing attacks; only there is an update in them. The attempts to advance phishing rely on more sophisticated ideas, which are unpredictable. The availability of a huge amount of personal data on social media networks permits hackers to craft emails, which are customized with intention of exploiting user recipients’ unique vulnerabilities. There are chances that phishing attackers have perfectly copied the content and graphics from the authentic notification messages mailed by enterprises being spoofed. In fact, some emails might have a secretive code within them, which executes automatically when a person opens those emails. Not only business employees but, businesses are also vulnerable. It is so because industries fail in taking essential Cybersecurity measures that are needed to overcome cloud computing security risks. Though different researches have proven that the security awareness training is an effective medium to reduce the overall data leakage risks in a company but, several enterprises do not have time or budget to deliver this education to their employees. In the upcoming section, we are going to suggest some measures for preventing phishing attacks. We request enterprises to implement approaches properly in their firm and at least tighten up the security from their end. Here are some of the best practices that email client users should take to secure their network from phishing attack and other kinds of social engineering-related threats. Make Use of MFA – One of the best methods to protect network assets threats is multi-factor authentication. When this authentication method gets activated in a tenant, users have to ensure CSP that at least they have two unique tokens to access the business network. This feature is present as an in-built option in many of the popular email clients like Microsoft Office 365, Google cloud platform, etc. By enabling this feature, individuals validate their identity, before using the email account. Enforce CASB Solution – As time passes away, preventing phishing attacks is getting tougher to achieve. Enterprises should begin use of a cloud access security broker (CASB) product in their premises, which sits in between the CSP and client’s on-premises architecture. The CASB solution acts like a gatekeeper, which enables industries to explore the reach of their cloud security standards beyond their own architecture. The wisest measures for preventing phishing attacks of your company from those that focus mainly on data monitoring and detection system. Nothing is impossible, the only thing is that businesses have to take the responsibility of securing their network infrastructure seriously. Rest, cloud computing is the best platform to grow and spread the business globally!